Bayburt is a city founded on the banks of the Coruh River, on the historical Erzurum- Trabzon Silk Road. The city, which is a place of accommodation on the Silk Road, became haunt of famous travellers such as Marco Polo and the Turkish traveller Evliya Celebi. The history of the city goes back to the Ancient Bronze Age, to about 3000 B.C. It was reinged by the Urartians, Kimmers, Iskits, Medes, Persians, Romans, Byzantine, Emevis, Saltuks, Danismends, Seljuqs, Akkoyunlus, Safavis and the Ottomans. Bayburt, with its antique bazaars, uplands, the Coruh River with its impetuous water and its castle, is a city worth visiting. The districts of Bayburt are Aydintepe and Demirozu. The local cuisine consists of meals addressing different tastes. Its general characteristic is the prevalence of meals made of flour or containing flour, meals containing meat, vegetables and olive oil in the menu. 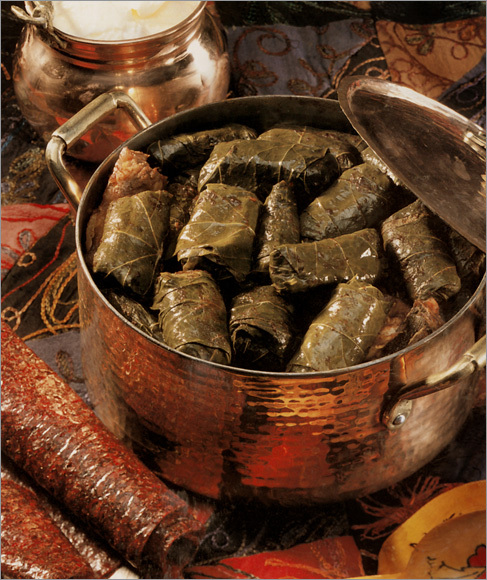 Among the local meals of the region are tel helva (a sweet prepared with wire like noodles and sesame oil), sweet soup, galacos, sour lettuce, curd stuffed vegetables and yalanci dolma (vegetable stuffed with meat and rice. Copper works, rug and toga textile industry is important in Bayburt. The rug motifs produced are unique to Bayburt and very original. Furthermore, toga textile is a textile that is unique to the area. The staff such as the vests, table and bed clothes, prayer rugs, curtains, ties etc. Made of toga are very interesting. Is to 24 km west of the Bayburt city center. The historical bridge in the Gumusdamla Village, the madrasah remnants in the town center and theMerkez Mosque are among the most beautiful works of the Turkish Islamic Arts. The Otlukbeli Hill, where the historical war was fought, is in this district. Some building remnants in the center of Demirozu, the Evcikler Hill Tumulus nearby the BAyrampasha Village ancillary to the town and the Pulur Tumulus in the Gokcedere County are the tumuluses that have stood out with pottery from the first bronze age found. The underground city in Aydintepe, situated to the northwest of Bayburt, in the mountainous region, consists of galleries carved into the main rock, arched rooms and the wider areas behind these doors. Furthermore, it is believed that the cone shaped holes, formed by the watching areas, that are used for ventilation also provided illumination.for the gallery rooms. The underground city is 2-2,5 meters below the surface. Excavation works were carried out in the hill in Ciftetas Village and its surroundings in 1993-1995. The findings of these researches can be seen in the Bayburt section of Erzurum Archeological Museum. There used to be tens of castles around Bayburt for purposes of watching and protection. However, only two of these castles have eached down to today sound and safe. These two are the Bayburt Castle and the Saruhan Castle. The castle situated to the North of the center is estimated to have been built in 58 B.B. the structure, which lived through the Roman, Byzantine, Arabian and the Komnenos civilizations, have been restored for many times. There are scriptures available concerning the restoration works that started during the Saltuk period and completed (1200-1230) by Tugrul Shah, the King of Erzurum. The Seljuq and Ottoman Scriptures, which are in good condition in the castle, are the works illuminating the period. The towers of the castle reach up to 12-13 meters and the height of the city walls is about 30 meters. The castle is in the Saruhan Village nearly to 40 km to the city centre. The castle was built on a hill and its walls were able to survive untouched till today. But, the caslte has, in time, lost its originality. The Ulu Mosque in the center of Bayburt is a Seljuqian work of art. The main section, which is rectangular, has been divided into three divisions by wide belts binding the eight thick ranks that are vertical in the niche direction. The middle division ends in a section with a dome. The mosque, which has a flat soil roof when viewed from outside, has gone through many repairs but the first design was preserved during the repair works. There are five scriptures in the mosque and these scriptures include information as to the construction of the mosque. There are ceramic decorations on its minaret. It is in the center of the Gokcedere County within the borders of the Demirozu district. The Ferahsad bey construction community, built in the 16th century, is known to have consisted of a mosque, a madrasah, a public house, a Turkish baht, an alms house and a guest house. Among these buildings, the public house, the alms house and the quest house were not able to survive till today. The “L” shaped madrasah has five divisions. All five divisions end in the courtyard. There are writings in the Persian language on the window and door archs opening to the courtyard. The ovens in the rooms are decorated with niches. The madrasah is thought to have been restored by Akkoyunlu Suleyman Bey in the end of the 18th century. The mosque built in the courtyard has a single dome and dates back to 1517. The scripture in the mosque is evidence that it was built Korkmaz Bey, one of the Akkoyunlu kings. The two colored cut mosque is still available for devotion even today. This mosque, situate on the Bayburt-Kose road and in Cayiryolu village, which is nearly 30 km from the city center, was built by Fahreddin Kutlug Bey in the second half of the 14th century. It is made up of the soil roofed place of last meeting,, which can be arrived at by passing through an open courtyard and the main square, which is divided into three divisions by four wooden columns. The structure was repaired in 1550. It is in Catalcesme village in the North of Demirözü town center. It is thought to have been built during the Akkoyunlu reign. The minaret base of the mosque, whose last meeting place was covered by a sloping roof, is made of cut stone, and the cylindrical body is made of brick. The dome covering the square main place was pulled down and replaced by a wooden cover supported by four instead of three columns and that had a dovetail dome. The vault of the niche, whose niches are mukarnas decorated, is ornamented with vegetable and geometrical motifs. The msoque, built by Zahid Efendi (1514-1515) during the Ottoman period, was built in the classical Ottoman architecture style. The structure has been repaired for a few times and has lost its originality. Both tombs, situated on the Sehit Osman Hill to the west of the city at 1682 m above sea level, are thought to belong to Osman and his sister, who are the brother and the sister of Menguc Gazi, one of the commanders of the Saltukoglus. Since the writings on them are barely perceptible, the epigraphs are hardly legible. These two tombs, after which the rocky hill to the west of the city was named, are made of yellow stone. The tomb is located in Cayiryolu village, situated at about a distance of 30 km from the city centre, is 30 m to the North of Kutlug Bey Mosque, in the graveyard. The name of Kutlug Bey, the son of Tur Ali Bey, can be read in the writing. Taking into consideration the fact that Kutug Bey died in 1389, the tomb is estimated to have been built in late 14th century. The dome of the structure, which is a octagonal building made of cut stone, has fallen down. It is also known as Tur Ali Bey Tomb among the public. The Tomb, which belongs to Abdulvahab Gazi, who lived in the 7th century, took his place in the history books as a hero and who had an esteemed position in the public, is still sound and safe today and open to visitors. Oslu Baba Tomb in the county of Aksar is one of the most beautiful examples of Bayburt stone works. The tomb, situated on a hillside, is one of the favorite places in Bayburt. The public house is close to Ulu Mosque in the market place. Since the scriptures were destroyed in a fire, it is not known when the building was built. The main square of the public house, which consists of three separate divisions, is square. It was divided into four sections and each section was covered by domes. The narrow rectangular second section, situated to the west of the main square, is covered in domes and vaults one after another. The Public bath, situated on the banks of the Coruh River, on the southeastern skirts of the Bayburt Castle, was built by Akkoyunlu Haci Ferahsad Bey in the 16th century. It is a classical four column bath. Transition to the central dome and the corner domes has been provided by pendantives and Turkish triangles, respectively. The structuer is still being used as a Turkish bath today. It is in the Bayburt city center. The information as to the construction date of the public bath, which has been repaired for a few times, is not for certain. Transition to the dome has been provided by pendantives. The corner rooms are covered with a dome arch and the tepidity is covered by cradle arch. The public bath situated in the center of Bayburt, is known as Kadi Mahmud Celebi Association. It has lost its originality, except for its hotness section, which is centrally planned, star shaped and has six columns. It is still in use today. consist of sections like rooms, courtyards and halls. “Merek”, which is the barn and straw house also called as Dam, is one of the complementary elements of the house. The lower two floors of the house is made of stone and the upper floor is made of “harpusta”, which is the mixture of wood and mud. The stone material, which is the main component of the construction material, is excavated in Bayburt. The building, situated at the 25th kilometer of Bayburt- Gumushane road and in the county of Aksar which is linked to the Merkez town, has two rooms and a sharp arch. The vaults of cut stone, the railing stones and the stones between the vaults are in a good condition. It is one of the classical Ottoman style bridges and it is still used today. The Clock Tower is in Bayburt in the city center. It was opened during the Republican Fest of 1924. It was built again with stoned and by artisans from Bayburt. 4 clocks attached to the tower and the parts of the clock were brought from Germany. The height of the tower above the ground is 21 meters and you have to climb a 41 step staircase to reach its “serefe” (the platform surrounding the body of the minaret where call to prayer is read). Kop Martyrs Monument was built at the summit of Kop Mountain in 1963, in memory of the soldiers who fought against the enemy forces in the Dop Gate and the Coruh River Basin and died during this war in 1961. 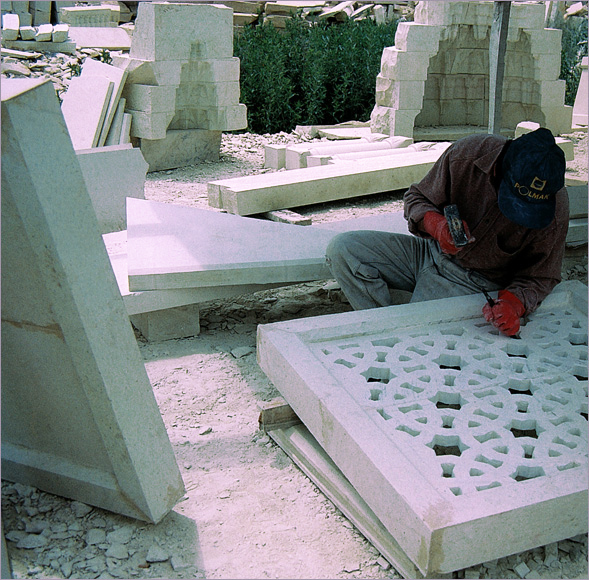 Mostly cut stone and sometimes concrete and marble were used during the construction of the monument. There are stalactites and stalagmites made of ice in the cave, which is 33 km distant from the city center. The cave has been used as a cold storage by the residents of the village from time to time. The cave, situated in the Lower Cimagil Village which is 35 km from the city center, is an hour’s walking distance after Tasindibi Street. The Cimagil Cave consists of 11 sections and the ceiling is reaches up to 30 meters. There are little water ponds in the cave, and it constitutes a view really worth visiting with its stalactites and stalagmites and natural constitution. There are two waterfalls, one being at the entrance and the other being at the exit of the Sirakayalar Village, which is responsible to the center. The area around the waterfalls is used by the people in the area as an excursion and picnic ground in the summer. This ergion is worth a visit with the unique natural beauties it houses. Kop Mountain Tourism Center Kop Mountain Tableland, Sultan Murat Tableland, Aydintepe, Otlukbeli, Yazyurdu, Yoncali, Akkoyun, Gumusdamla, Uzengili, Yaylapinar, Dumlu, Sur, Ardicgoze, Goloba, Bayburt are some of the tablelands in the area. These tablelands are corners from paradise for the nature lovers with the clean air and the natural beauties they have. Hunting is a developed activity in the region and there is also a shooting club available. The area is appropriate for land game hunting, especially in winter. 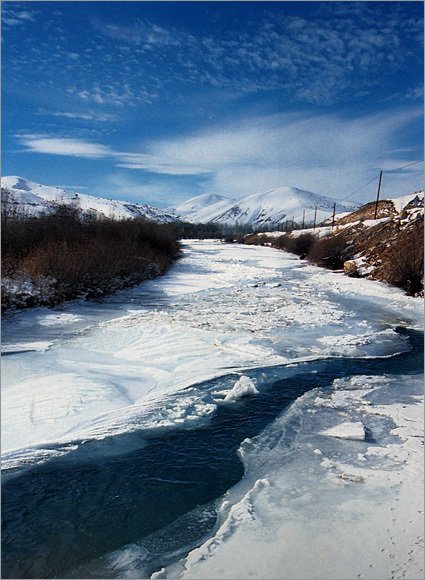 The Coruh River and its branches are suitable for fresh water fishing. Masat, Kopuz, Bespinar, Ozansu, Yoncali, Yazyurdu, Kilickaya and Catiksu streams are rich in trouts; Orucbeyli, Sakizli, Saraycik, Danismend, Eymür, Gokcedere lakes, on the other hand, are rich in carps. Kemer, Soganli, Haldizen, Kirklar, Kose, Cosan, Kop, Otlukbeli, Divanyolu, Saricicek Mountains are higher than 2000- 3000 meters and are tailor made for mountain and nature expeditons on horseback. The Coruh River, one of whose branches originate in the Mescit Mountains and the other in the Otlukbeli Mountains joining under Dikmetas Viillage, is one of the most important rivers of our cuntry in terms of water flow. Therefore, it is quite suitable for water sports. 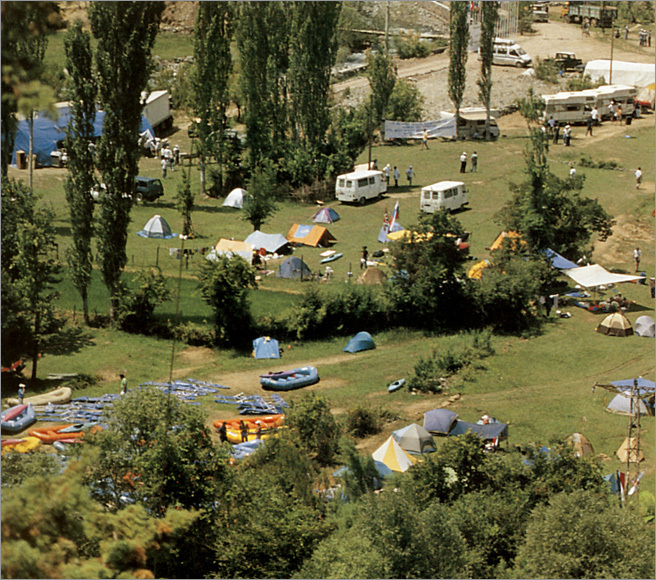 Water sports like canoeing and rafting can be done on the part extending from the Dikmetas Village to the Aslandede Village. Kop Mountain has been declared as a “Tourism Center” and the planning works of “Kop Mountain Skiing and Winter Sports Center” over this center have been completed by the Ministry of Culture and Tourism.